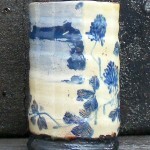 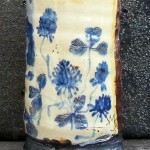 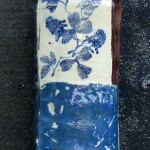 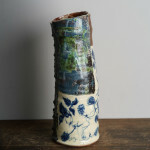 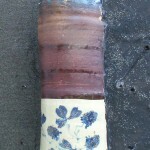 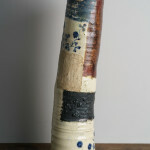 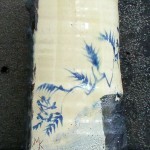 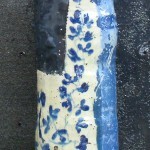 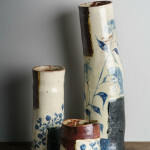 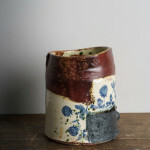 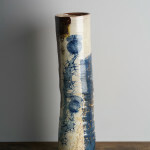 Blue and White cylinder pots are inspired by the plants which grow between the paving and cracks in the garden. 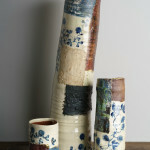 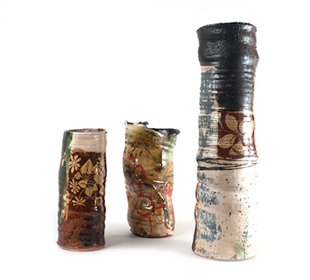 They are assembled from pieces of thrown vessels which have been torn apart or stacked on top of each other. 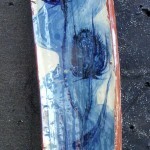 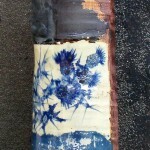 Painted by hand with cobalt oxide from wild plants or weeds. 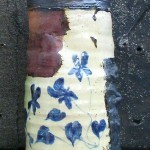 They remind me of roofing felt, peeling paint and rust, like an old allotment shed.